I have been fooled a few times earlier by the overhyped bakeries in Noida and it seems I hadn’t yet learned my lesson. 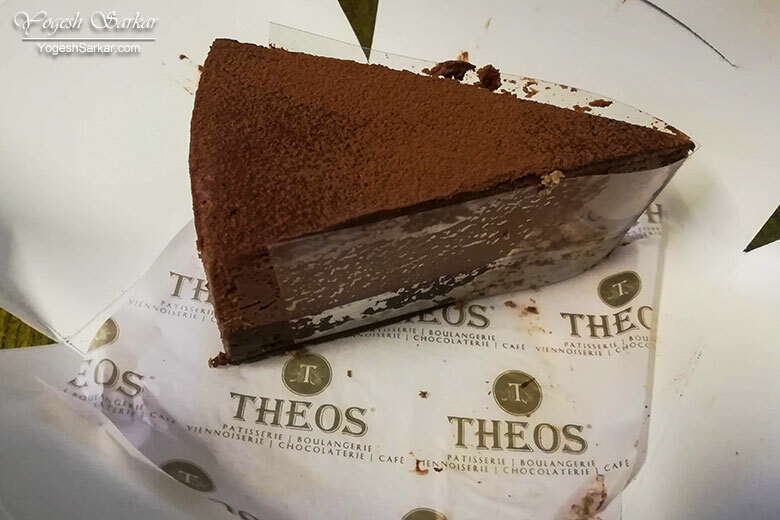 So I went to another one yesterday, Theos, located in Sector 50 Central Market. Since I was full after having a delicious dinner, I decided to get a couple of pastries packed and so did my friend. Prices are steep, Rs. 150 plus taxes for a Pineapple or Blueberry Pastry. Yet, out of the 3 pastries we bought from them (Blueberry, Double Chocolate Decadence and another chocolate pastry that I forgot the name of) along with caramel custard, none tasted really good. All of them were mediocre at best, sort of stuff you would expect from a small bakery. Frankly speaking, the pastry shop at Big Bazaar sells better stuff than Theos; Angels in my Kitchen, Soni Bakers, and even Otik are way out of their league! Caramel Custard had a pathetic bland taste. The Blueberry Pastry had a hard bread and flavor was just about alright. The chocolate pasty had dry and hard bread as well and okish flavor. The Double Chocolate Decadence’s top layer was made of cream mixed with cocoa powder and it tasted so bad, that my sister, who loves chocolates, left it after taking a spoonful! There was no bread in it and it was a nice concept, but poorly executed by Theos. Overall, it was a waste of money. And Bakeries in Noida, disappointed once again!